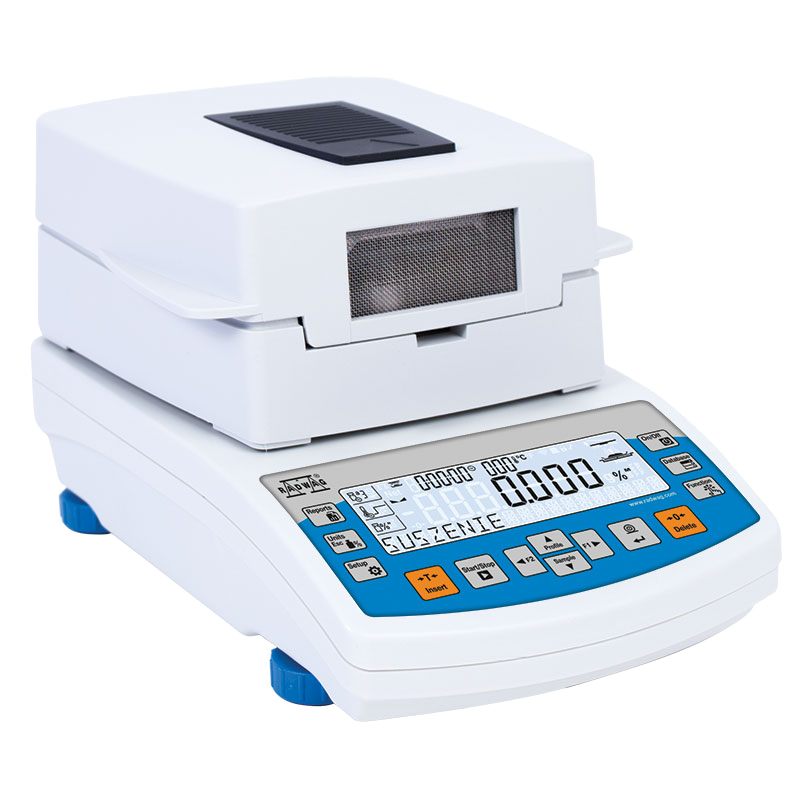 Moisture analyzer is a laboratory measuring instrument intended to determine relative humidity for small samples of different materials. 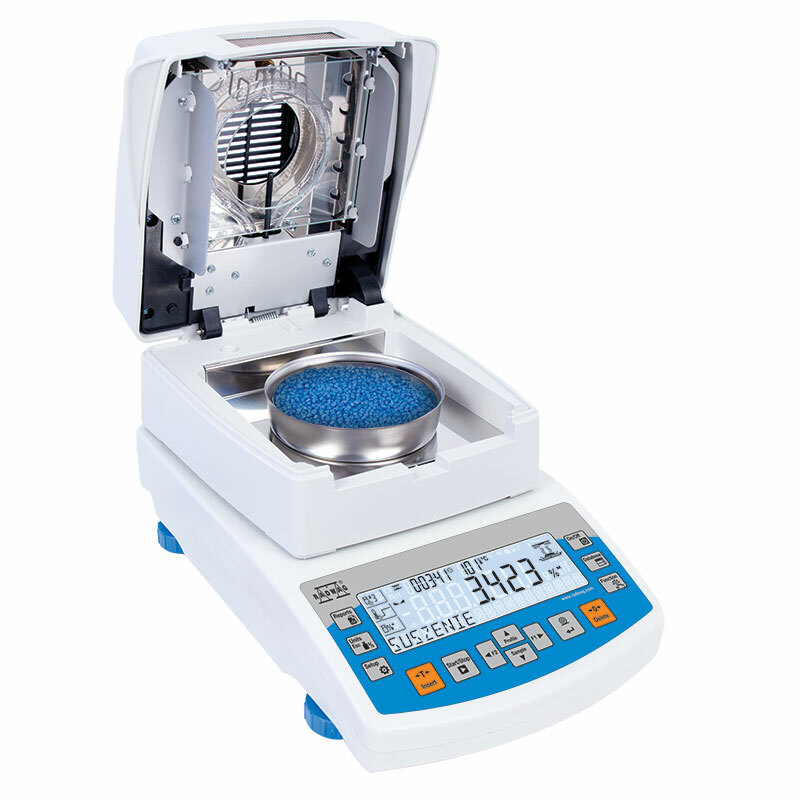 MA.R series redefines moisture analyzers standards. 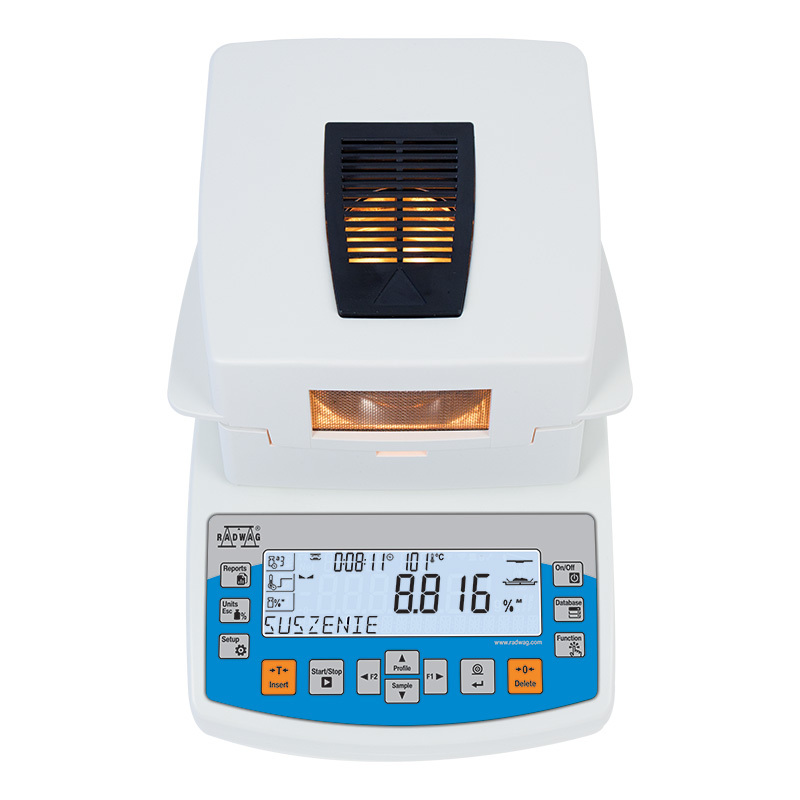 This series has been equipped with brand new readable LCD display providing an extra text line for information such as supplementary messages and data, e.g. product name or tare value. The moisture analyzer, using respective pictograms, signalizes currently activated mode, computer connection and functions, both balance and service ones. The MA.R series is enriched with various interfaces: RS232, USB type A, USB type B and Wireless Module as an option. The moisture analyzer is housed in a plastic casing. 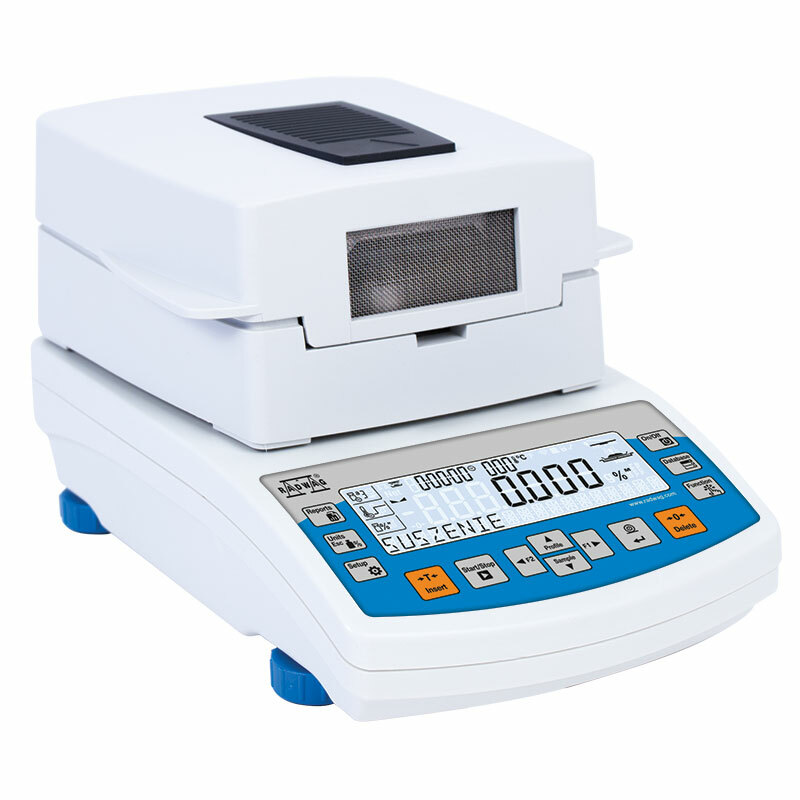 Information system of R series moisture analyzers is based on 6 databases, allowing many operators to operate product database comprising many samples. Collected measurements may be subjected to subsequent analysis. Exchange of information within the system is performed by means of USB port on bi-directional basis. It is possible to import and export databases using memory sticks. It is possible to access functions and databases directly, using keyboard soft keys.